The complete What Car? guide to buying a used car | What Car? Buying a used car can be a stressful experience because of the possibility of buying something that’s been abused, stolen, crashed or is simply worn out. But there’s a huge amount that you can do to protect yourself when buying a used car, as you’ll discover if you read this authoritative What Car? guide. The key is to be methodical when buying and not to rush things. If you cut corners you’re opening yourself up to problems further down the line, so work your way through our checklist to make sure that you buy a great used car instead of a lemon. Because there are two peaks in the British new car market (1 March and 1 September, when the registration plates change), there are lots more used cars around at these times. 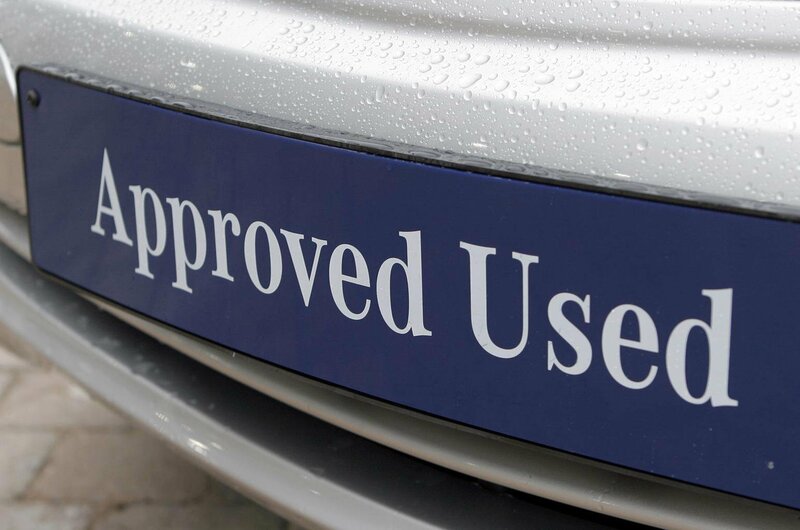 Consequently, dealers are keen to sell these trade-ins as quickly as possible, so think about buying your used car at one of these times when supply is usually greater than demand. The older the car, and higher the mileage, the more maintenance it’ll probably need. Parts wear out, so don’t expect the car to just keep working without regular servicing. Before buying any used car establish what the insurance premium will be and how much it’s likely to cost to get it serviced. Do you want an automatic or manual gearbox? Self-shifting gears can be a real bonus with today’s traffic levels, but cars with an automatic gearbox are often less reliable and can be more thirsty. 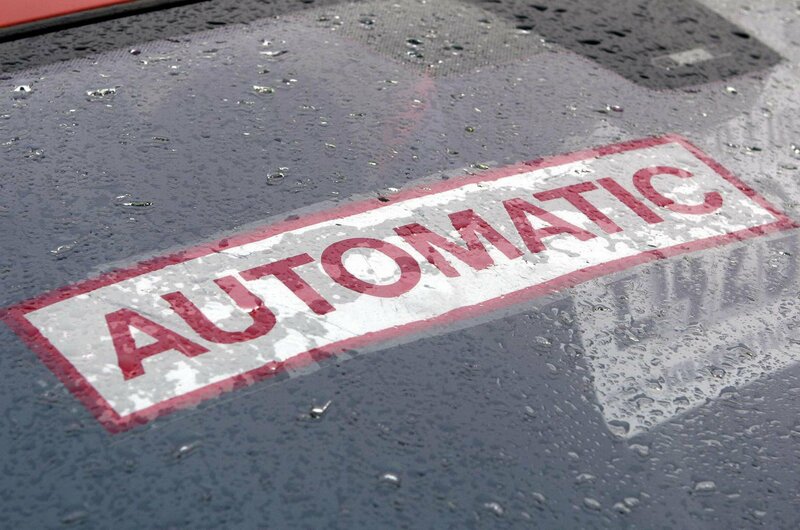 Also, some autos are less pleasant to drive than the manual equivalent – although some cars are better suited to an automatic. The key is to undertake a thorough test drive to ensure you get on with which gearbox is fitted. Petrol or diesel or electric or hybrid? If you do lots of short journeys a petrol car makes most sense because it doesn’t have a diesel particulate filter (DPF), which gets clogged up on short trips. 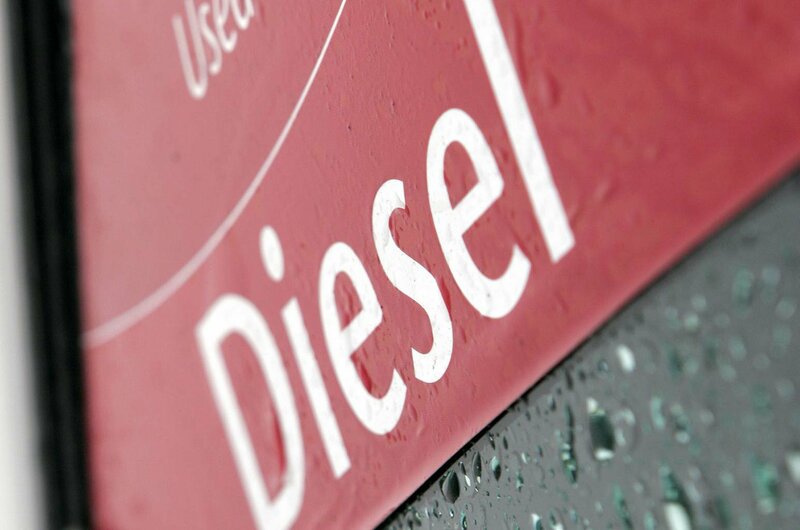 If you do long-distance journeys or tow a lot a diesel might make more sense, but the big unknown at this stage is what restrictions might be introduced against diesel cars, especially in urban environments in future. That said, they do make sense for some drivers – indeed, our 2018 Car of the Year, the Volvo XC40, is recommended in D4 diesel form. 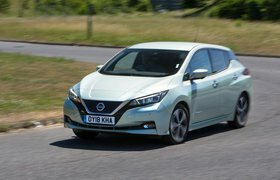 All-electric cars like the Nissan Leaf are increasingly viable but due to their nature and usually lower driving range, you must ensure they will fit into your life smoothly. Hybrid-powered cars feature both electric motors and, usually, a petrol engine that recharges the electric motor’s battery at cruising speeds, and are especially suitable for cars who spend most of their time on local journeys with occasional trips further afield. Don’t be put off by a high-mileage ex-company car, because it should have been cared for mechanically (you can check the bodywork and interior easily enough), but for most of the miles it’s racked up the engine will have been up to temperature. A low-mileage car that's covered lots of short journeys may actually have less life left in it. 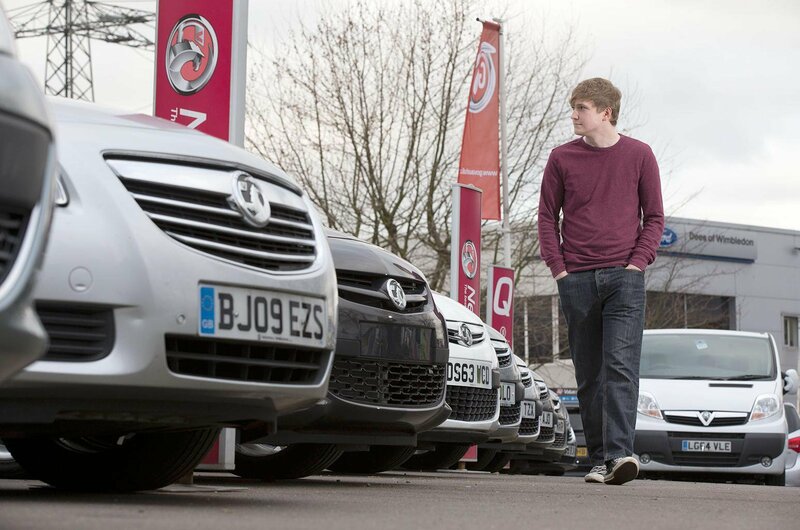 There are lots of places to buy a used car; the more legwork you put in, the greater the savings. 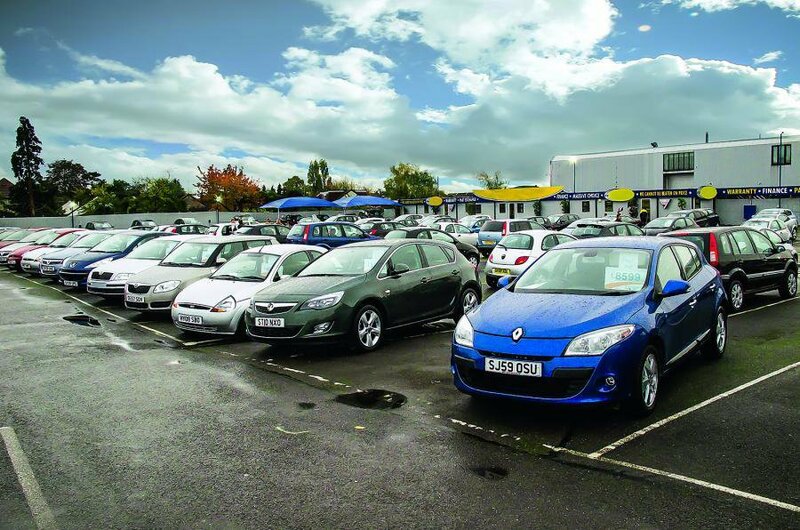 The lowest prices are usually at auctions, but it’s easy to buy a heap as you don’t get the opportunity to undertake a test drive, plus there’s very little comeback in the event of problems. You can also land a bargain when buying privately, especially if the owner is in a hurry to sell, but beware of over-optimistic pricing. 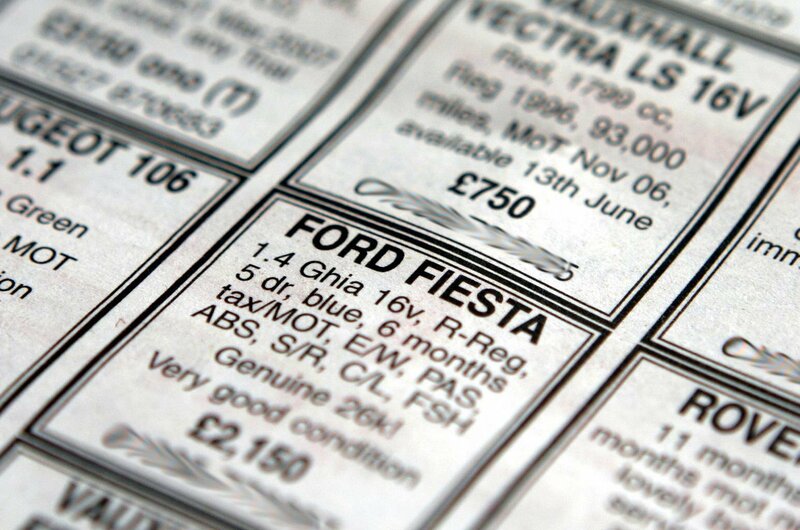 Private sellers are required by law to describe the car honestly and accurately, but that’s the only requirement, because the car only has to be ‘as described’ and you have no redress if things then go wrong. Getting your money back from a private seller or sorting out a problem will be difficult, so check the car thoroughly before buying. The most expensive cars are usually to be found at a franchised (official) dealer, because the cars tend to be fairly new and will have covered a low mileage. 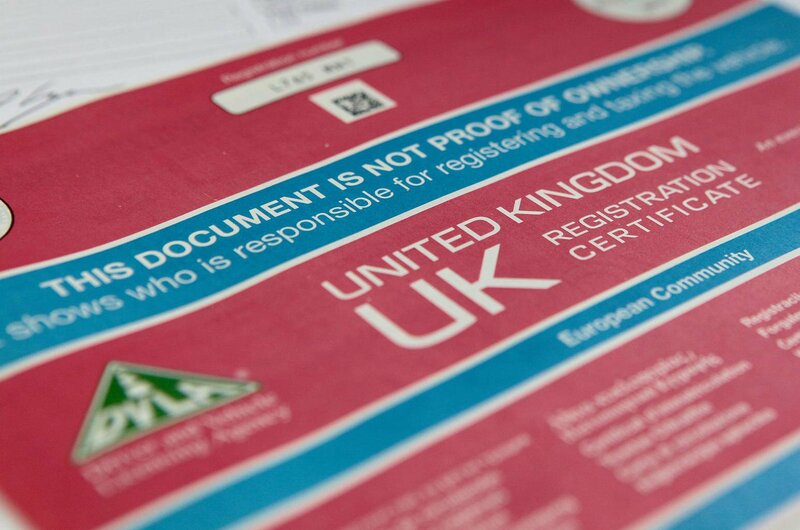 If buying through a manufacturer’s approved used scheme you could even get a comprehensive warranty. 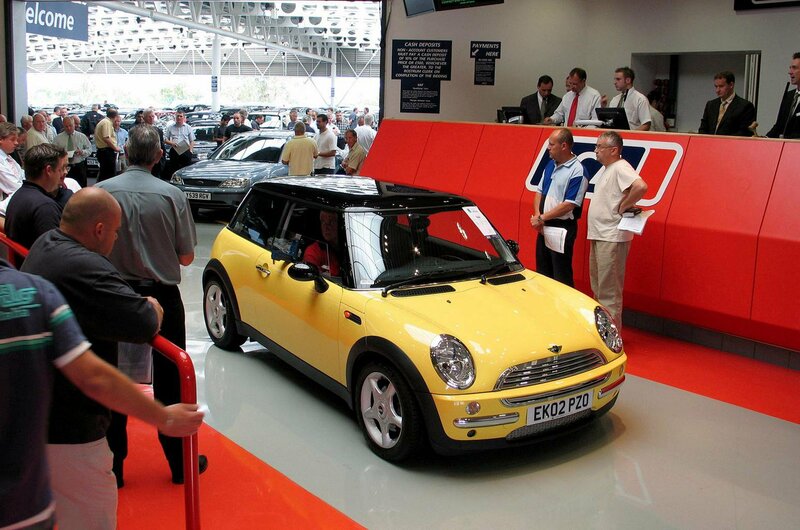 Some used cars for sale at a franchised dealer will have been used as demonstrators for test drives, or come direct from the manufacturer, whose staff will not have put any miles on the clock. 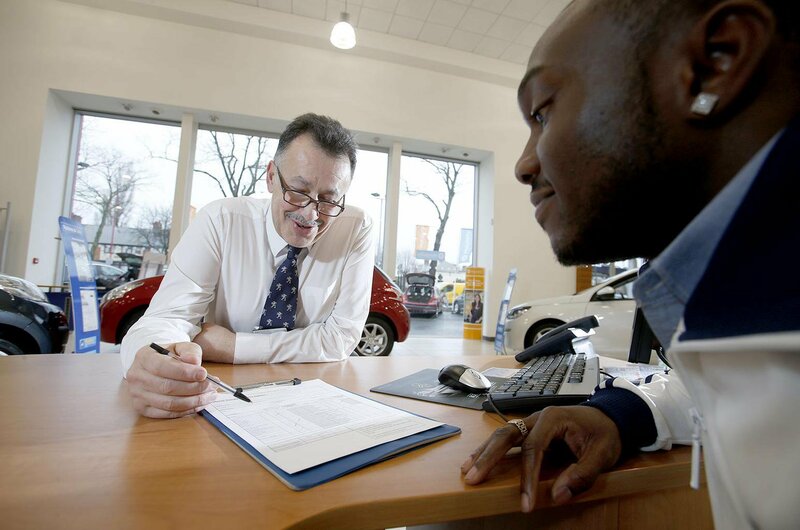 Independent dealers usually offer the same facilities as a franchised dealer, such as finance and warranties, but the cars tend to be slightly older. These cars must come with a warranty (although it can be a short one), but you are protected by the Consumer Rights Act in the event of problems. 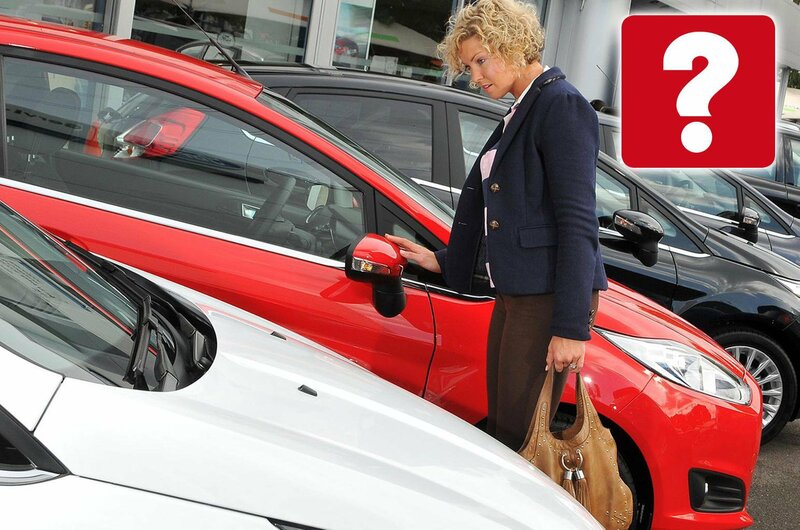 These are effectively independent dealers but with a much wider choice of cars. As a result you can expect a warranty and usually relatively low prices, because supermarkets sell lots of cars and make a small profit on each one. 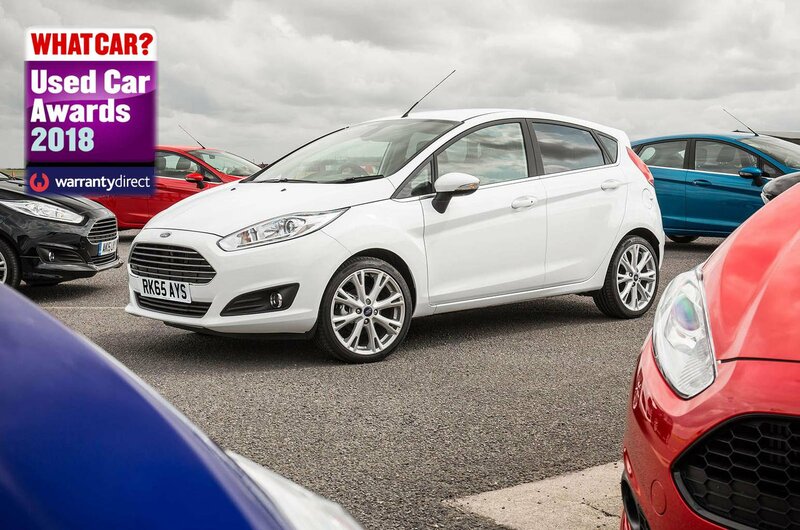 They tend to focus on mainstream cars only, but there’s usually lots of choice – maybe even hundreds of cars on one site. However, because prices are lower to start with there’s usually less room to haggle. Indeed, some have an explicit ‘no haggling’ policy. However, as many consumers dislike haggling – and equally dislike the idea that enthusiastic hagglers may get a better deal - this restriction might actually be attractive for some. There are plenty of dodgy cars out there masquerading as good ones and you need to make sure that you don’t get landed with one. 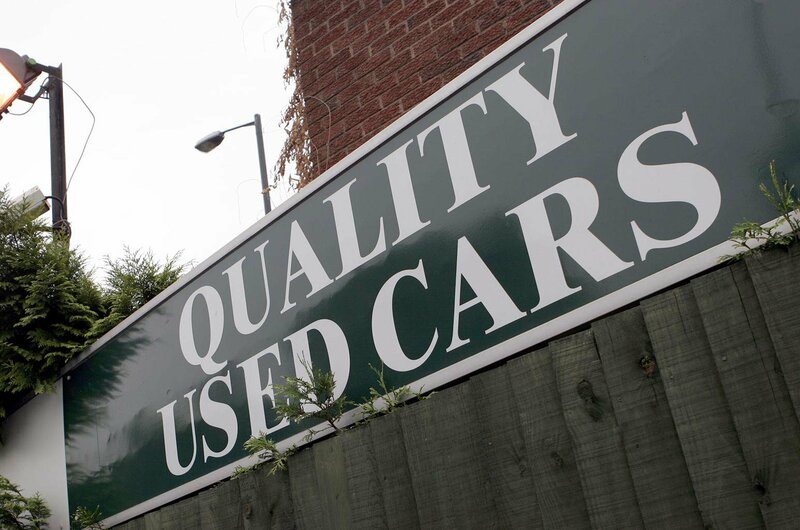 To minimise the risks, if you’re buying from a dealer of any sort try to contact the previous owner and ask them about their old car – its mileage and history. They should be honest if they’re not selling the car as they have no vested interest in hiding anything. You should never buy any car – new or used – without taking it for a test drive first. 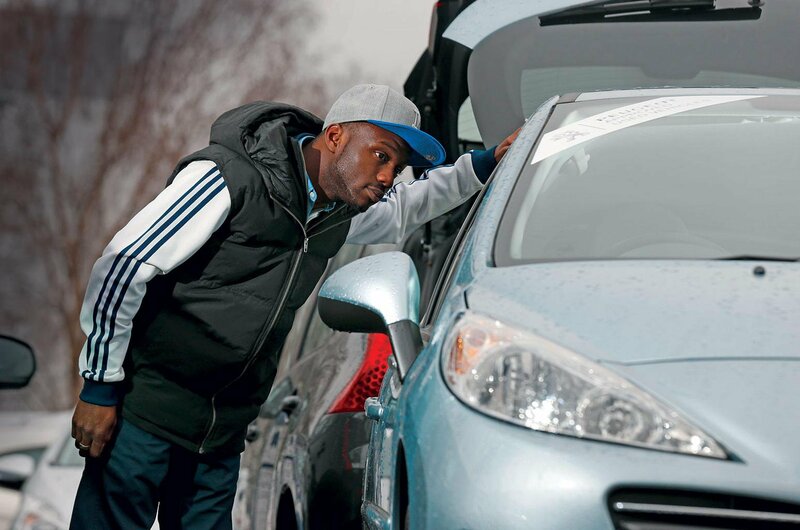 Make sure you’re insured before taking a test drive, either on your own insurance or by taking out one-day cover. This should be relatively cheap, but most importantly it ensures you’re legal and covered in the event of a mishap. Try to start the car from cold, and make sure it ticks over happily. Let the engine warm up and ensure its electric cooling fan cuts in before taking the car for a decent run that will allow you to try out all of the gears as well as the major controls, brakes, steering and suspension. Does the car drive well, with no pulling to one side under braking? Are there any clonks, rattles or other untoward noises as the car is driven, especially around corners or over poorly surfaced roads? Is the exhaust chucking out soot or clouds of smoke? If so the engine may have had it, although some diesels can be pretty sooty even when reasonably healthy. Ensure all the electrics work – try everything. 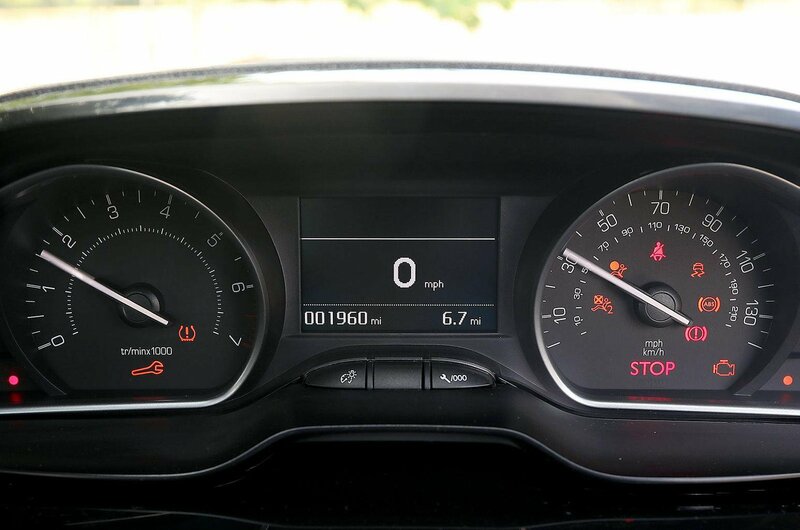 It’s the same with the instrumentation – does it all read as it should and do any warning symbols stay lit on the dash when the engine is running? If so it might mean an automatic MOT failure. Make sure the Bluetooth pairs with your phone (if fitted), that the infotainment works (if fitted) and that every lock, window, heating element and motor does what it should. Trying to fix electrical or electronics problems can be a nightmare. Look closely for dents and scrapes in the bodywork; also check panel fit. If the panels don’t line up properly the car might have been in a collision and then poorly repaired. Any dents in the panels or scrapes in the paint will probably be costly to put right, so haggle accordingly or walk away. Check for rust that’s been painted over, or wonky-looking surfaces that could point to cheap body repairs with filler. Once rust arrives, it’s very hard to eradicate. Have the steering wheel and gearknob been worn smooth? Does this tally with the mileage? Is the interior undamaged, along with all the glass? Are there any stickers on the windows which may have been put on to cover an old registration number etched onto the glass? 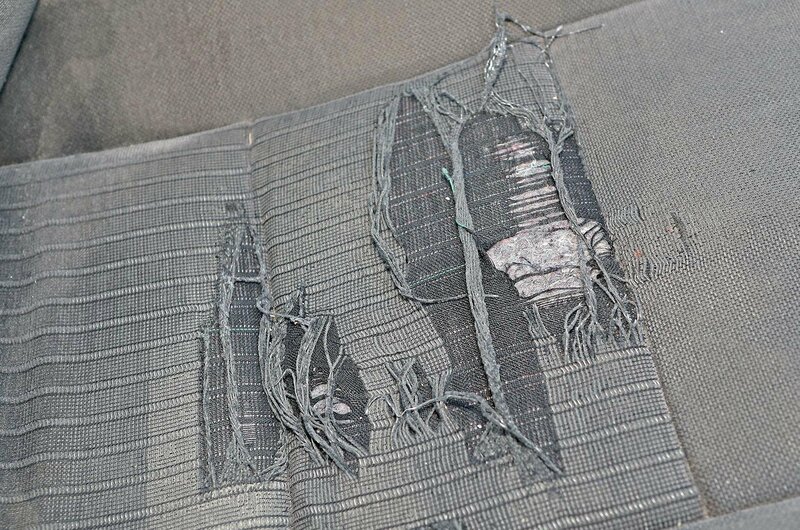 Split seats, holed carpets, cracks in the dashboard and cigarette burns in the upholstery won’t be cheap to fix, and the same goes for a sagging headlining. Are the tyres okay, with no uneven wear? 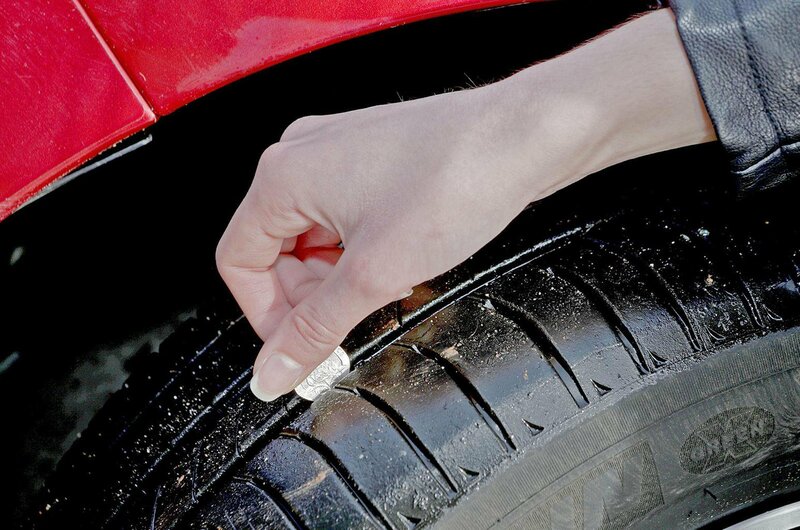 If they’re worn out altogether you’ll need to budget for new tyres, and depending on the car this can easily cost several hundred pounds for high-quality rubber. If the tyres have worn unevenly it could be poorly aligned tracking or something more serious – such as a twisted bodyshell because of poor accident repairs. 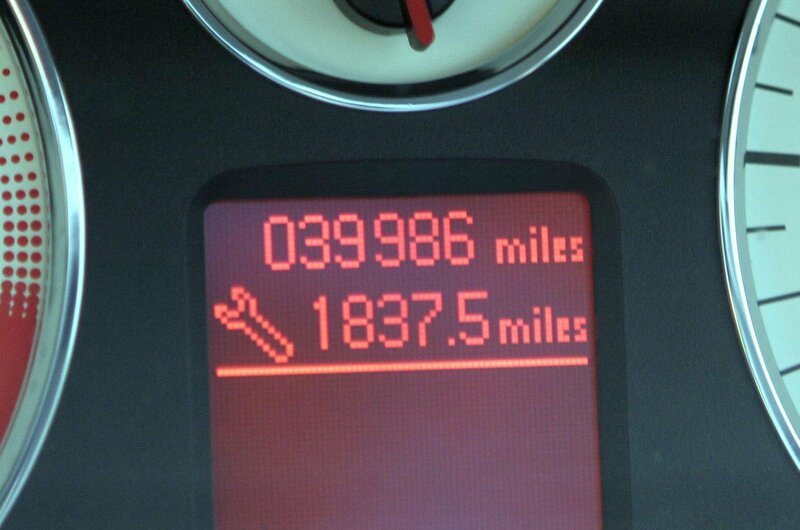 If the odometer is an analogue item, do all the digits line up properly? 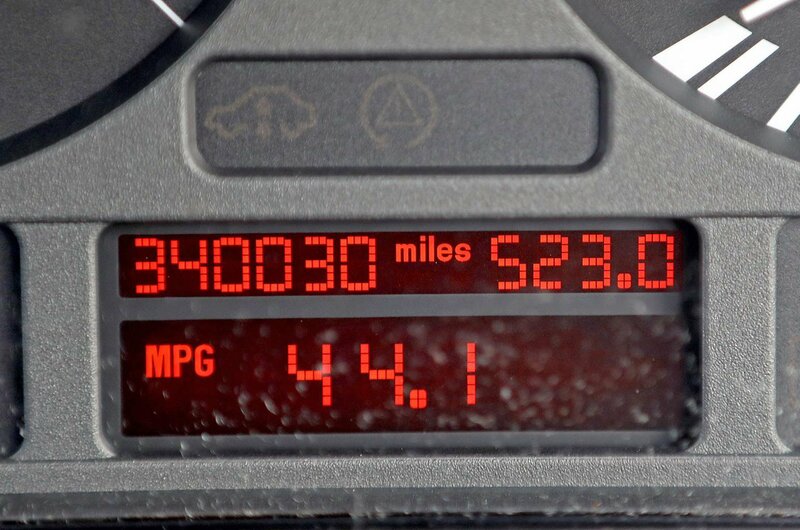 Is there any evidence of the odometer having been removed to wind back the mileage? Most modern cars have a digital odometer which can be clocked easily with a laptop. This is why it’s worth looking at the car’s online MOT history at the government website and reading through the service history to see if the mileage recorded on these forms tie in with what’s displayed. 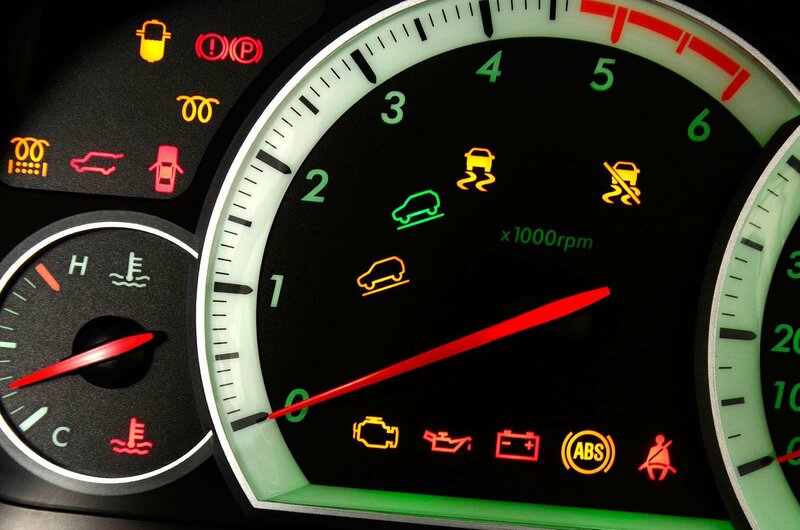 Invest in a car data check, which will tell you whether the car is subject to any outstanding finance. It will also tell you if the registration is the original one and whether or not the car has ever been involved in a major accident. There are several providers including HPI, the AA, and the RAC. Does the chassis number (usually at the base of the windscreen on the passenger side) tie up with the one on the registration document? 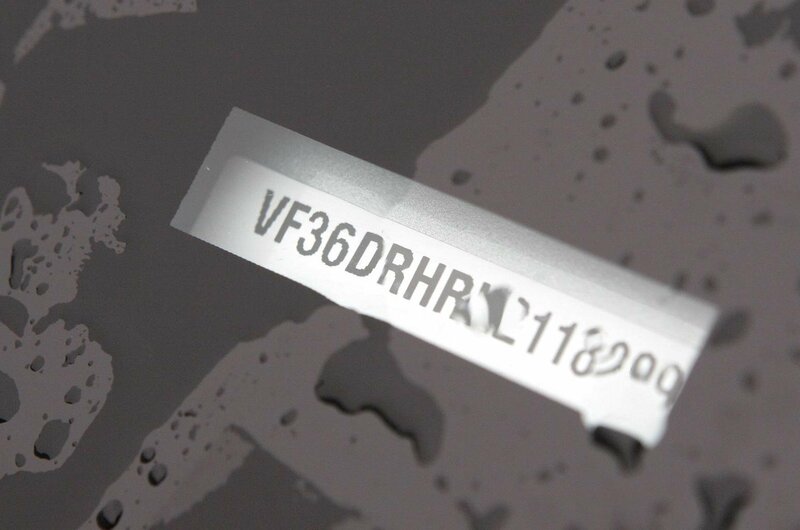 Also check the engine number, which is usually stamped on the side of the main part of the engine. If they don’t match, the car may be stolen. Are all the keys available with the car? Most cars should come with at least two keys. 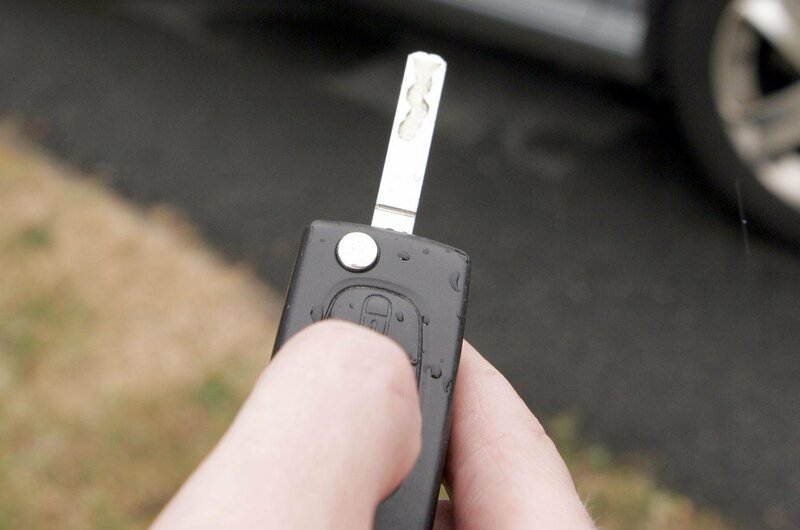 Lose the only key and you may have to have everything reprogrammed – which can cost hundreds of pounds. If you buy from a dealer you’ll have a warranty, even if it’s just for a few months. However, any dealer has overheads so you’ll always pay more if you take this route. 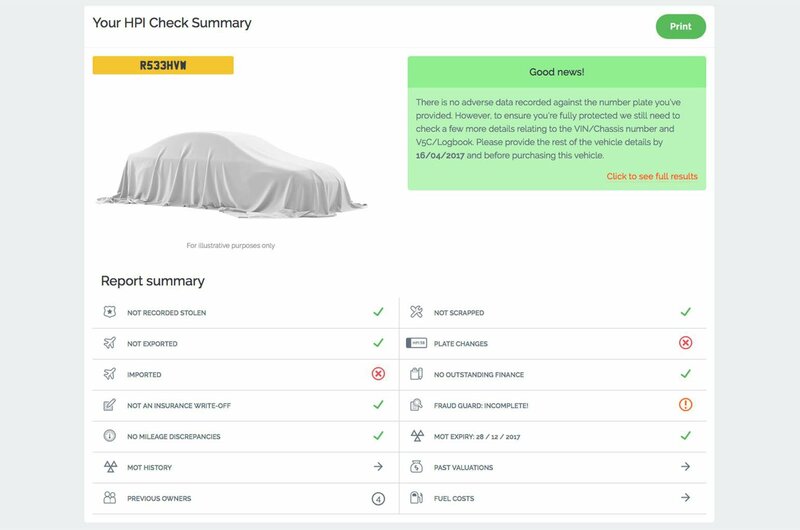 Depending on the car’s age and mileage, the warranty may not be a very good one so read the small print and make sure that you know what’s covered. When it comes to buying privately, you need to have your wits about you. 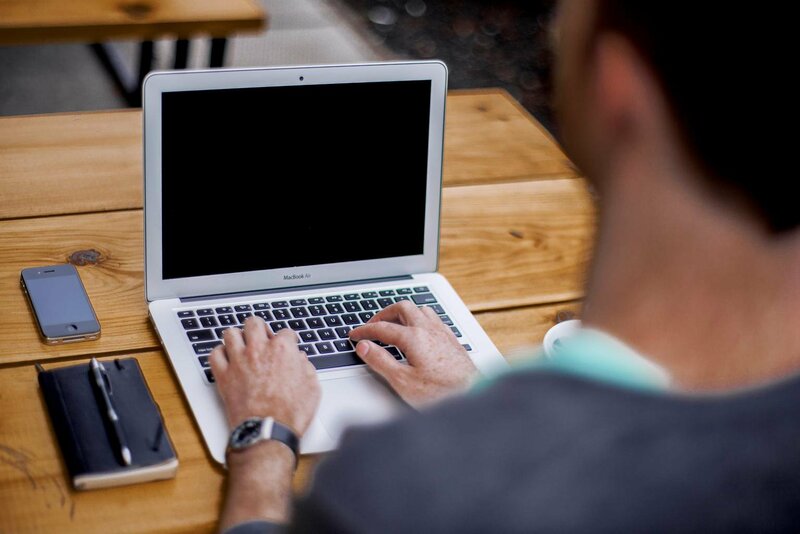 There are plenty of dealers masquerading as private sellers and working from home. 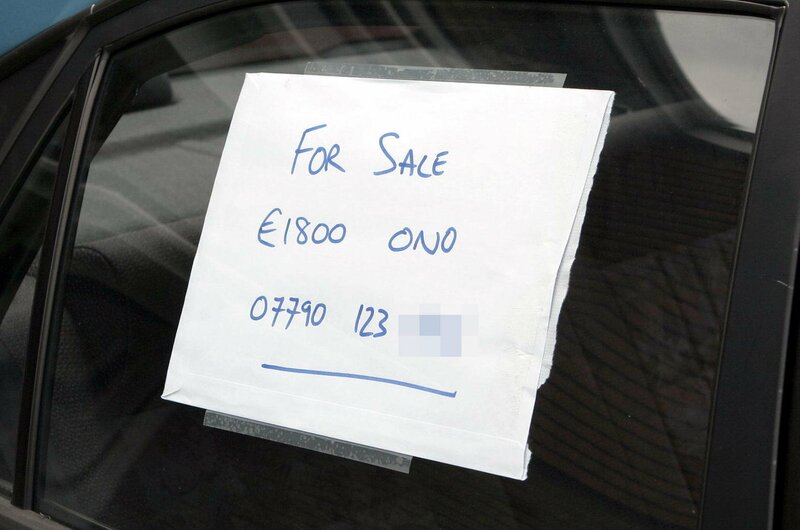 When you phone up, ask about ‘the car for sale’ without specifying which one. If they need clarification, they’ve clearly got several vehicles up for grabs. Don’t look at a car in the rain or at night – the paintwork always looks great in these conditions. Insist on visiting the seller’s house or if they’re a trader, their premises, Not only will you be able to tell a lot about the vendor, but you’ll know where to find them if something goes wrong. 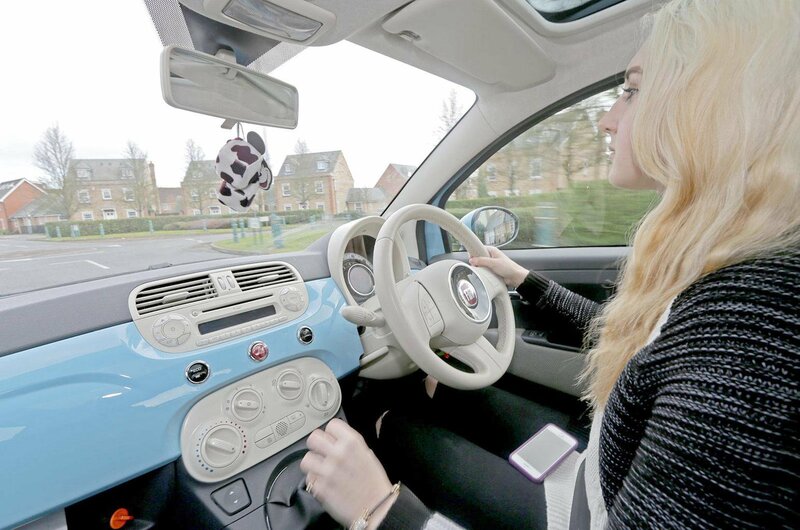 Cars are becoming increasingly complicated, and even people who are happy poking about under the bonnet can easily be daunted by modern vehicles. That’s why it can be worth calling in the professionals; a qualified engineer with all the right tools and test equipment will give a written report on how good a car is. Such checks aren’t cheap – they’re usually more than £100, but you could end up saving a lot more than that if you’re considering buying what turns out to be a heap. While such inspections are comprehensive, not all vehicles are eligible. Imports, cars more than seven years old or particularly expensive cars are typical exemptions, so you may need to call in a local mechanic to look over one of these instead. If you do call in the experts but then have a major problem, you can claim against the company that did the inspection and there should be some form of financial redress available. 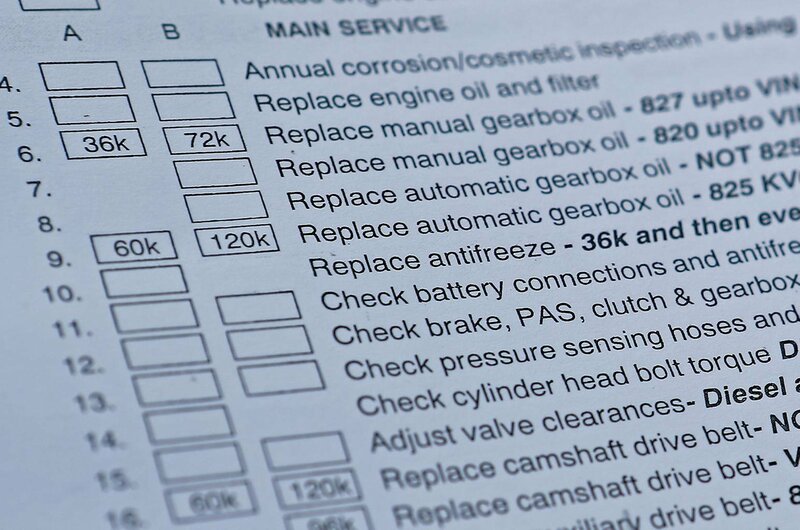 A cheap alternative which looks at all the key areas is an MOT. You can put a car through an MOT at any time, and for relatively little money you can establish if there are any serious faults with the vehicle. The older the car, the more documentation should come with it. 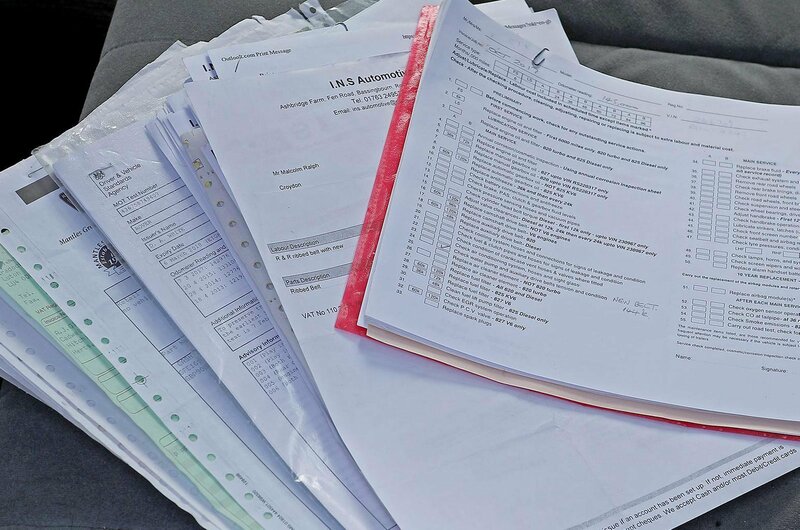 By reading through this paperwork (some of which is easily avilable online) you’ll be able to get an idea of how well the car has been looked after, so take your time to make sure that the car is all that it seems. This tells you the basics about the car’s history such as how many owners it has had and who it is currently registered to. Bear in mind though that the person named on this form is not necessarily the legal owner of the car. Don’t buy a car without one of these and make sure it’s a genuine document by holding it up to the light and looking for the watermark. The V5C is the most important document of the lot; the name on this piece of paper is the person to whom any speeding tickets or other motoring fines will be sent to. If that person doesn’t deserve them, they have to prove why this is the case – and not telling the DVLA of a change in vehicle ownership is an offence. 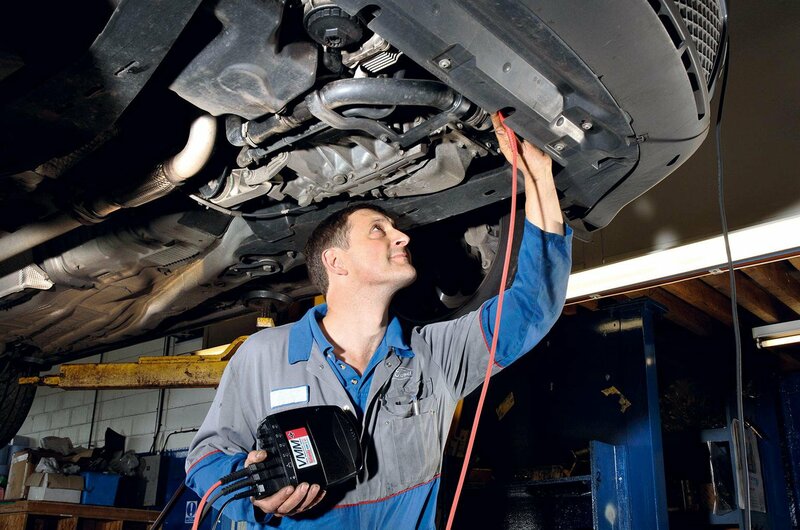 Cars more than three years old must have an annual MOT test, which checks a car’s roadworthiness. 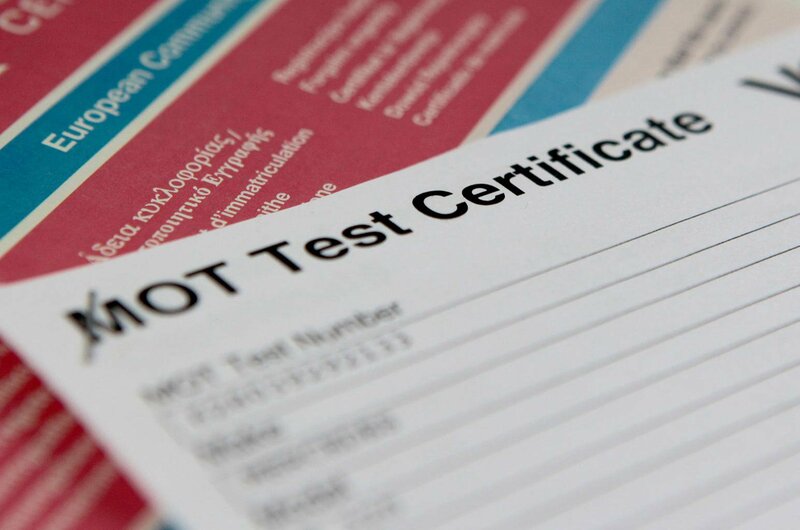 But just because a car has an MOT certificate it’s no guarantee that it’s still in good condition – especially if the test was performed several months ago, so look for a car with as recent as possible a test. With the system now fully computerised, everything is logged centrally and can be looked up instantly at www.gov.uk/check-mot-history, so you can see if a potential purchase has racked up lots of failures and advisories in recent years, suggesting that it’s been neglected. What you’re after here is proof of regular servicing. You can also ensure the mileage goes up in the right stages. If the engine is fitted with a cam belt see when it was last replaced; 60,000-80,000 miles is typical, along with every four or five years. It tends to be a costly job and if the belt breaks the engine will be wrecked, potentially writing off the car. Also check if the air-con has been serviced recently because if this fails it usually costs a lot to put right. When it comes to sealing the deal, try to ensure that you pay less than the initial asking price. Any seller should set the price above what they’re prepared to accept – so don’t pay a penny more than you have to. Any discount on the initial asking price is a victory, so don’t be too greedy. Once you’ve settled on a price, remember these points when handing over your money. In terms of paying, most dealers will accept a debit or credit card; paying the latter route might be safer if you're not physically taking possession there and then, as you'll be protected by the Consumer Credit Act if the dealer then goes bust, and certain other protections. Just make sure you pay down the debt quickly, as credit card interest rates can be ruinous. In terms of buying privately, the best way is online via bank transfer, ideally on your phone; the Faster Payments system delivers money nearly instantaneously for amounts under £10,000. To avoid accidents, send a payment of £1 first to ensure it goes through and is received correctly. When confirmed this is is the case, then transfer the rest. 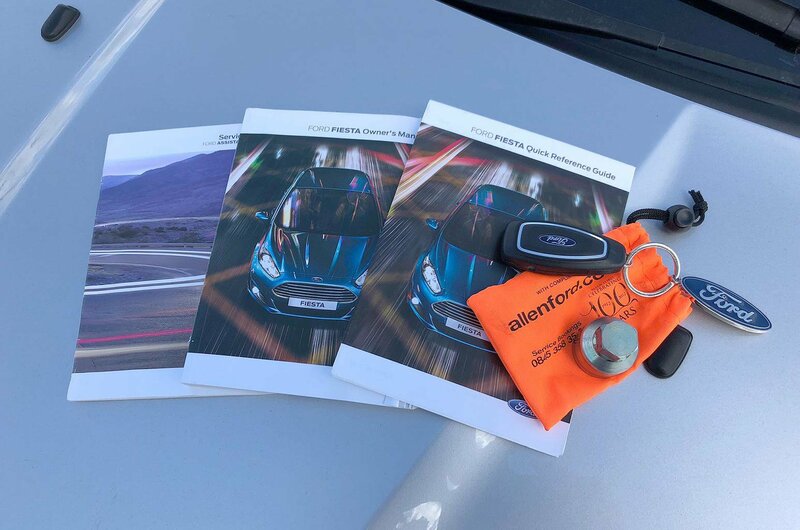 Before driving off into the sunset, make sure you have everything you need, including all the keys, the service book, the user guide, the right tool to undo any locking wheel nuts and any fobs to activate any security systems.